If you happened upon the front page of the New York Times arts section on April 13th, 2006, you might likely have been taken by one of two reactions. Perhaps “Who?” Or maybe for the long devoted adherents, “Finally!” There they were, a trio who came up in the idealistic confines of Madison, WI, and the fertile incubator that was the Midwest’s ‘90s indie rock scene, now perched atop a Brooklyn warehouse with the sunset-drenched Manhattan skyline behind them. Momentary conquerors at what would turn out to be the tail end of a decade of trailblazing creativity, Rainer Maria had reached a mountaintop of sorts, and yet by the end of the year they’d be bidding farewell to sold out crowds at the Bowery Ballroom and Williamsburg Brooklyn’s now almost mythical DIY haunt, Northsix. A decade earlier, during the summer of 1995, Kaia Fischer, William Kuehn, and Caithlin De Marrais, collectively Rainer Maria, were getting their start in a college town not necessarily known as a nexus for any scene. That isolation may have proven fruitful as they crafted their own unique sound, spinning raw and tumultuous emotion into introspective rock songs, with literary and philosophical interests and influences that endeared them to many also searching through the underground for their place in the world. A self-titled EP released in 1996 would be followed by signing to the then nascent Polyvinyl Records and the release of their first full-length albums, Past Worn Searching and Look Now, Look Again. Those rst releases, paired with an ambitious amount of time spent in DIY spaces, basement shows, and rock clubs throughout the US, fostered a dedicated following for the trio while connecting them to other scenes and musicians throughout the country. Rainer Maria, likely without realizing it at the time, were on their way to cementing themselves as an early cornerstone for Polyvinyl, and as ambassadors of the midwest indie rock scene now so revered by later day musicians and fans. In 1999 they moved to New York City, in part to be closer to family and loved ones, but with the added effect of further unconsciously spreading that gospel. 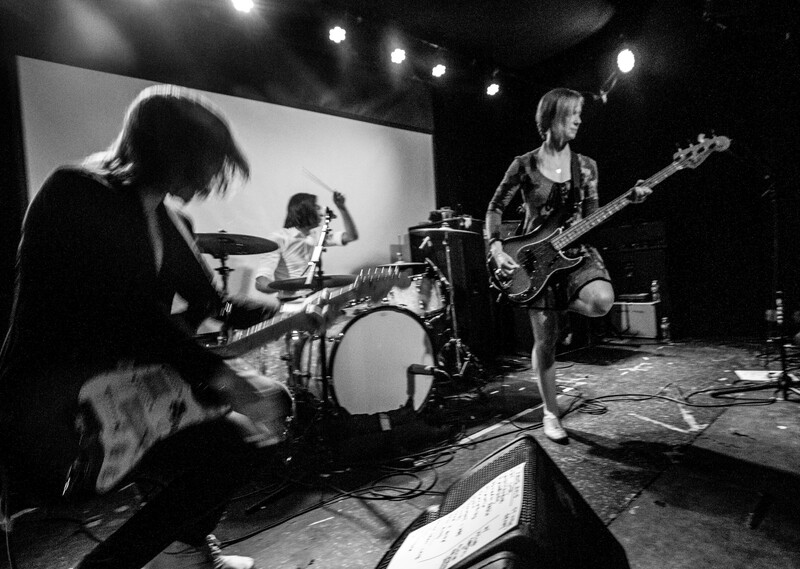 Throughout the rst half of the aughts, Rainer Maria would release three more full-length albums. Evolving their sound as they tightened their craft, the band continued to hit the road with opening acts ranging from Ted Leo and Rilo Kiley to the Yeah Yeah Yeahs, whom Rainer Maria took out on tour for the then young band’s rst string of East Coast dates outside of New York. 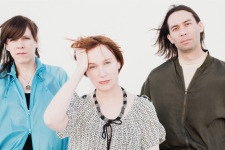 By 2006, however, Rainer Maria were feeling the strain of having spent life since their late teens as part of the same band. Collectively, they felt a desire to explore other avenues of living, and so, after a few rapturous farewell shows attended by fans from around the world, Rainer Maria hung up their hats. Over the years that followed, offers for shows would come in every so often, but the band were neither emotionally nor geographically prepared to seriously entertain them. Slowly but surely though, they migrated back to the New York City area, and perhaps more importantly, had moved further along on their own personal journeys. So when the latest offer came in a few years ago, the three got together for dinner to catch up and feel out where they all were both personally and musically. While none of them yet felt the allure of the stage, all three were excited with the idea of writing and recording together again, and so in lieu of any new shows, they began the process of writing the songs that would become S/T. Guided by their shared history as songwriters, and buoyed by their recent adventures and explorations in music and life as individuals, S/T, fits like well worn boots with the spring of new soles. Intuitively written without much post-mortem intellectualization, the album benefits from its origin as an exercise in fun between old friends who didn’t necessarily have the intention of releasing a new record when they started down the path. The lyrics are full of natural imagery, influenced by the more pastoral setting outside De Marrais’ window—soil and greenery, weather patterns, and other markers of country life. While sonically, S/T retains and even amplifies the core grit and vigor that Rainer Maria has always had as a band. The album also benefits mightily from Kuehn’s hand at production, his first time doing so for a Rainer Maria release. His bandmates implicit trust in him is a guiding force allowing each song to take on its own distinct life without losing a sense of overall cohesion. In listening, one gets the feeling Rainer Maria were far from the end of their road together as they stared towards the horizon from that rooftop in April 2006, but rather have much further yet to travel.